In Windsor, we seem to do everything with a party – whether it’s tents in the old bus depot for St. Patty’s Day, or a full-out carnival for Canada Day. But this year The University of Windsor Student Alliance (UWSA) and The St. Clair College Student Representative Council (St. Clair SRC) banded together to kick things up a bit. On Tuesday, September 6, A.K.A. The First Day OF School 2011, they hosted The Coming Home Music Festival at The Riverfront Plaza, featuring electronic artists from Canada and abroad. The party started at 4 pm DJs Manzone and Strong, a house duo from Toronto who have been around since the early 90’s, and in the time have secured themselves a spot in the conscious of the electronic scene by creating some fantastically booty-shaking tracks. 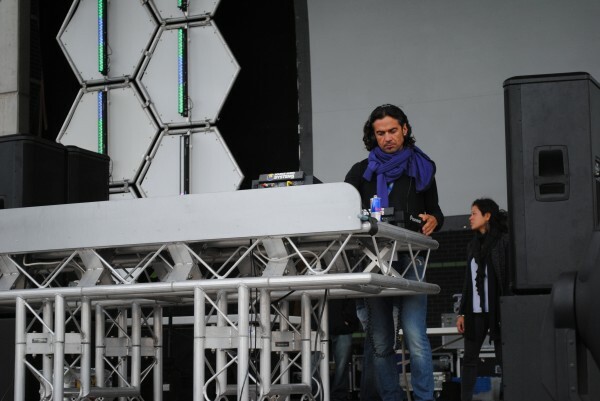 Next up, Italian DJ and producer Rivaz. He brought to the stage glittery and fast electro, as well as a great skill for building tension and anticipation in the audience, to have it erupt in a storm of cheering, jumping, and fist-pumping. As is suitable for a Coming Home Festival, an emigrated Windsor DJ returned to town to wow the crowd with her tunes. DJ Heidi currently resides in Berlin, has played her music on every continent (minus Antarctica), in some of the world’s premiere nightclubs, and in electronic festivals around the globe. Low and raw, Heidi’s brand of electro is infectious, more than dance-worthy, and a fantastic way to warm the crowd up for the night’s headliner. 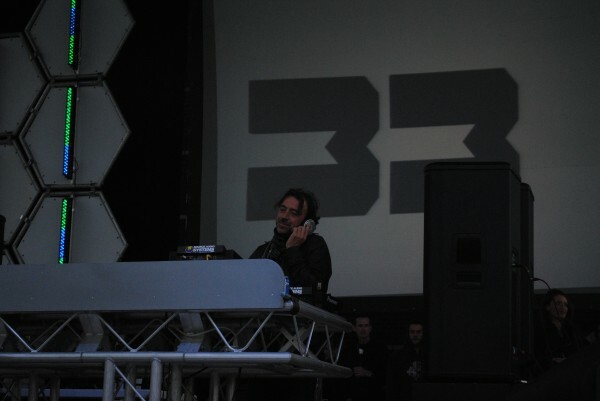 Grammy-award winning DJ Beny Benassi took the stage amidst cheers and chants to plan an almost 2-hour long set of electro, house, and dubstep. The Satisfactin hit-maker had the crowd going wild the entire time, with dancing, jumping, and good vibes running rampant throughout the packed plaza. To bring the night to a close we had another returning Windsor native, minimal DJ Richie Hawtin (you may have heard some of his music under the moniker Plastikman). Although his minimal and trancey sounds may have been a bit different from the other acts heard this night, they were no less well received by an enthusuastic and thoroughly excited crowd. This back-to-school bash was certainly a success, let’s just hope that Wednesday’s class attendances were as great as that of the show.